Wake up amongst the trees. A hidden little piece of Heaven. 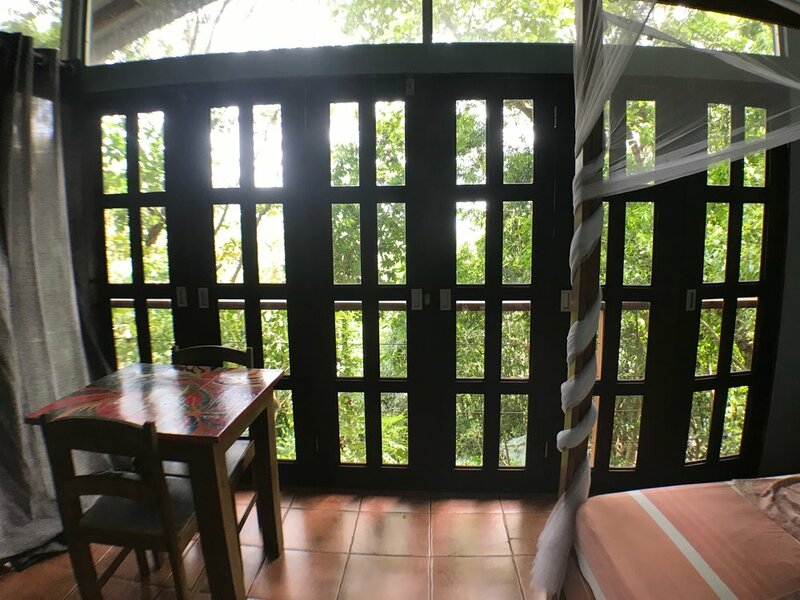 “We stayed in the private Vista Cabina, and my goodness, was it the most pleasant stay in Costa Rica! Downtown Montezuma is a short walk from the bed and breakfast. 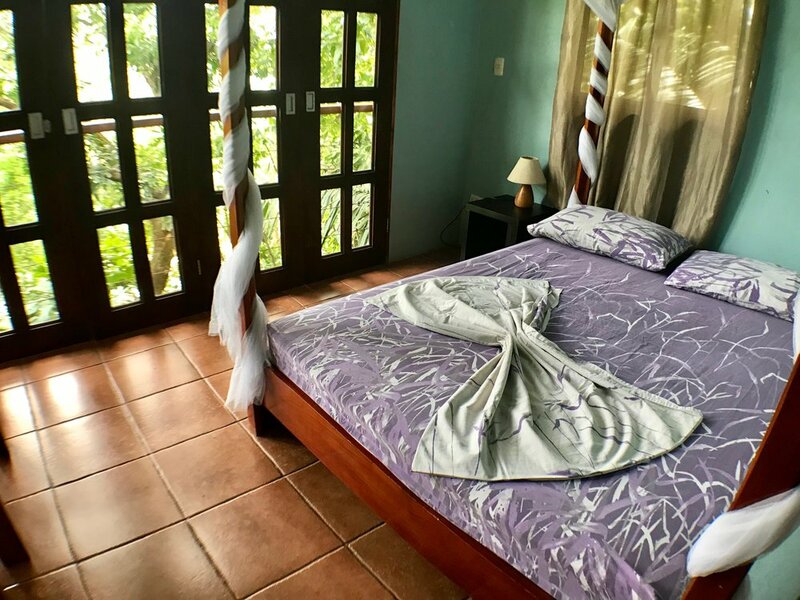 The staff was friendly and easy to talk to (Yoni has a fantastic music playlist), breakfast was simple and delicious, and the room was comfy and cute with a perfect and stunning view of the ocean and jungle. We were greeted by monkeys upon our arrival. They enjoyed playing on our balcony and swinging onto the roof. I wasn't too happy with the wake up call (the monkeys making loud banging sounds with the roof), but they were still cute nonetheless. One night we did have an eight legged visitor chill on the wall, so we didn't sleep as pleasantly that night. If you're afraid of possibly seeing snakes and spiders, then you might not want to stay here. The sounds of the ocean and howler monkeys are constantly there, so you get the feeling of being in the jungle and near the ocean at once. Rustic retreat with 5 start hospitality.